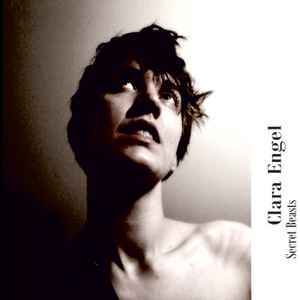 Based in Toronto, Canada, Clara Engel is an independent, multi-faceted artist and musician. She has independently recorded and released eleven albums, and has collaborated with musicians and artists from the UK, Germany, Brazil, Canada, Turkey, Iran, and the US. Engel's music has been played on Italian National Radio, as well as BBC Radio 2, making it onto Tom Robinson's show "BBC Introducing" on several occasions. Her music has been described as "folk noir," "minimalist holy blues from another galaxy," and "sung poetry." Her voice and guitar stylings place her singularly on the genre-map, somewhere between avant-garde torch singer and gothic-blues artist. Her influences span genres and media, amongst them are Vasko Popa, Virginia Woolf, Theodore Roethke, Jim Jarmusch, Arvo Part, Meredith Monk, Robert Johnson, Gillian Welch, and Jacques Brel.